Originally built in 1925 by Fridstein & Co, the building was salvaged and designated as a Chicago Landmark in 2002. The Congress Theater plays host to the international entertainment industry’s biggest names, the Midwest’s best independent productions, and some of the city’s most unique private events. In addition to the main theater and balcony level, the venue also features a spacious four-story Entrance Pavilion. 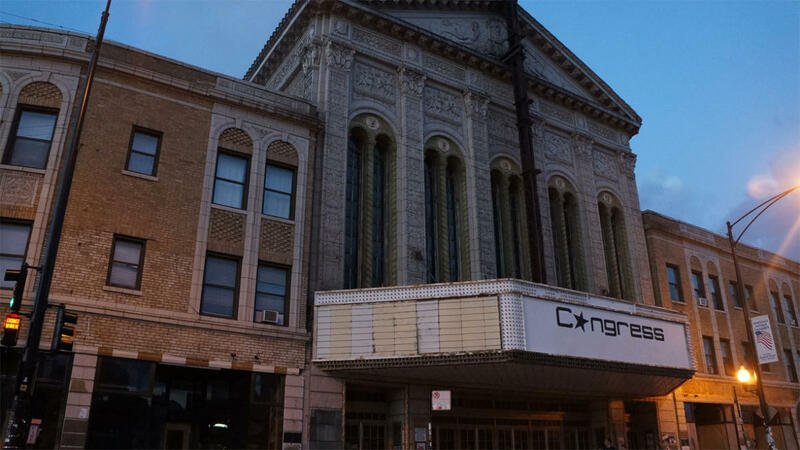 The theater is located in the burgeoning Logan Square/Bucktown/Wicker Park area, the seat of the artistic and music communities in the Midwest. It sits perfectly situated, in close proximity to the immense variety of ethnic and social communities which it serves.